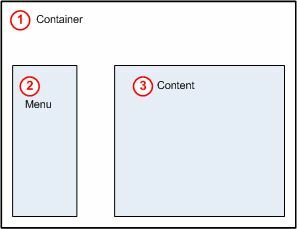 I have a container page (Window1) and 2 frames on it. I used WinLIKE so they are not frames actually, but windows. Window2 is a menu window and Window3 is for the content. The Window3 is for displaying the content regarding which menu we choose in Window2 (menu). We can simply write a link in Window2 and target it to Window3. But the problem comes when I need the fourth window (Window4) appear from Window3. Please see the image below.